Located on the border of two countries - US and Mexico. 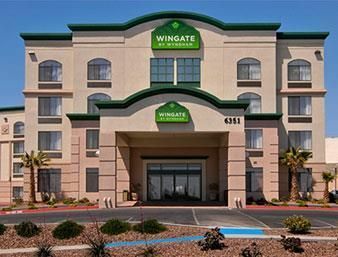 Situated at the base of the rugged Franklin Mountains in the heart of El Paso. Designed in a timeless, attractive, classic, and distinctive prototypical design. Centrally located for all ports of entry to Mexico, not far from the University of Texas at El Paso. If you’re planning a Texas vacation package with Southwest Vacations®, then you won’t want to pass up El Paso. Home to family fun, cultural attractions, and year-round events, El Paso is rich with a history that is always on display. From art galleries to vineyards, El Paso has plenty of attractions to keep you busy, not to mention a natural beauty, wide-open vistas, and picture-perfect sunsets.